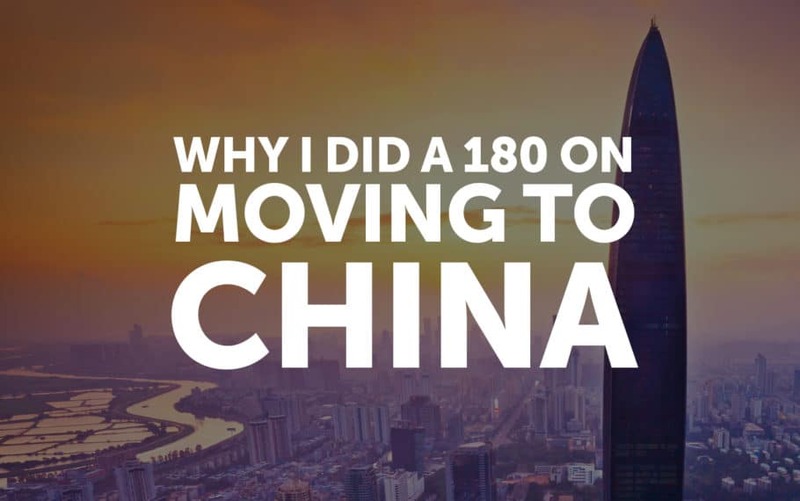 It wasn’t too long ago I posted about why I wasn’t going to move to China, even though I wanted to. Now I’m in the process of hauling myself and my family to Shenzhen, China, just across the border from Hong Kong where I’ve lived and worked for the past three years. I had originally intended for MWI’s next office to be in Singapore, and was gearing up to move there, but changed my mind. Why? Hi everyone, I’m excited to announce the location of MWI’s next office, and the next place I’ll be calling home. Surprise, surprise, it’s not going to be Singapore. There has been a change in plans and instead of Singapore, as has been previously discussed as the likely candidate, I’ll be moving with my family to Shenzhen, China. 1. Shenzhen is closer to Hong Kong than Singapore. That’s a bit of an understatement, actually. 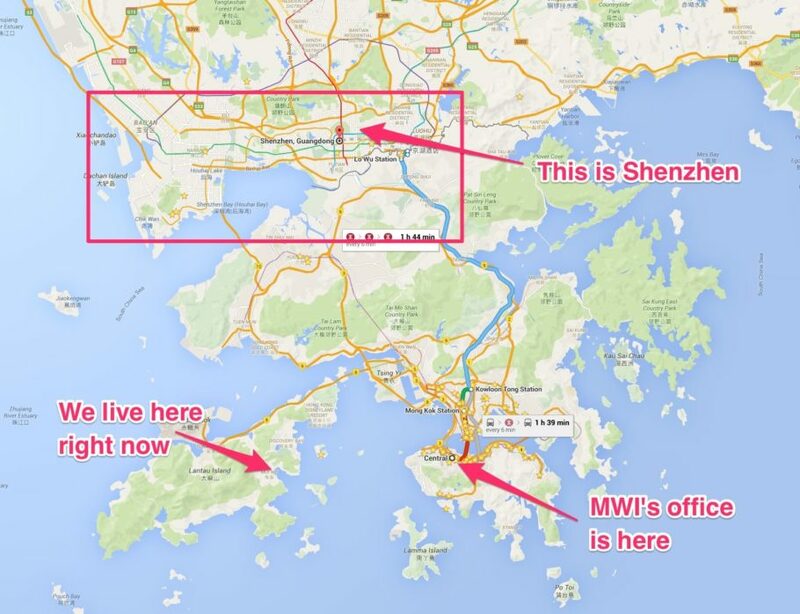 Here’s a map of Shenzhen and Hong Kong. The center of Shenzhen is about a little over 30km or about 20 miles from downtown Hong Kong. The other night I and the MWI HK team attended a presentation a friend of mine who lives in Shenzhen did in Hong Kong. He messaged me when he got to his home in Shenzhen and it turns out it took him less time to get home than it took for me to get to mine. On the other hand, Singapore is 4-5 hours each way by plane, not including travel to and from the airport, check in, hotel, etc. 2. We have other options in Singapore. I don’t need to be in Singapore for us to open an office there. We have at least one great prospect for someone who can open the office for us, and even if he weren’t the right fit, we can find others. Singapore has a rich talent pool and we have existing networks there. Within China there is less of all that so I can add more value there. 4. It’s cheaper. The cost of living in Shenzhen is less than in Singapore. 5. It’s a larger market with less competition. Billions vs. millions and just like in Hong Kong there are only a few companies there that do what we do. There are challenges as well, like more of a language barrier and internet issues, but I have many friends doing business there and these things are workable. Q: How soon would you move? A: Two to three months. Q: What about MWI HK? A: I have no concerns about MWI HK managing things on their own. They’re already doing it, and if there’s any reason I need to be in Hong Kong I’m right next door. A: There will be some minor expenses related to incorporation and paperwork and such, a few thousand dollars U.S. Beyond that, not much. Q: What will success look like? A: Doing what we’ve done in Hong Kong, only faster. The first priority is to find someone to do bizdev/sales and ideally a “local CEO” who can run the office. This is an exciting opportunity for MWI! Geographically and logistically it’s a small step, but it’s a huge one in terms of expanding the opportunities for MWI. BTW, I posted this video (see below) on slack previously but if you didn’t watch it already you may be more interested now. It’s a recent documentary by Wired about Shenzhen. As it turns out, things moved much faster than anticipated. Instead of taking 2-3 months for us to move, it was 3 weeks from the time the idea occurred to me and my wife and when we moved into our new apartment in Shenzhen. What I wrote above is only the business side of things. To give you the bigger picture, we need to go back to August of 2012, when my wife and I were having dinner on our wedding anniversary. During that dinner we discussed our family, and where our next child was going to come from. My wife and I have struggled with infertility for our entire marriage. We adopted our first child in 2008, after 8 years of marriage, and had a biological two years after that, in 2010. Then…nothing. That evening, I told my wife I thought our next child was going to come from China, that it would be a girl, and that she would be an older child. Depending on your perspective on God you could say I had a “religious,” or “spiritual,” or “crazy” experience that led me to this belief. I won’t go into detail here, other than to say we started looking into adopting our third child from China. A few weeks into our research, a funny thought popped into my mind, and I turned to my wife and said “Why don’t we just move to China?” I thought it would be a great experience for our family, a fun adventure, and who knows, maybe good for the business as well. “I don’t know, why not?” My wife responded (this is a big part of why I love my wife). That evening my wife ran over to talk with a family in our neighborhood who had lived all over Asia, and the conversation went a bit like this. That sounded like reasonable advice, I mean, we’re not completely crazy people, so we moved to Hong Kong in June, 2013. However, as time went on and we hadn’t yet found our daughter, the business became self-sufficient, and we realized we didn’t need to be in Hong Kong any longer, and we started to get an itch to move elsewhere. We had made several trips to China, but the whole slow internet thing discouraged me from actually living there. Singapore seemed like the logical next step for the business, plus I had a second-cousin there who we loved hanging out with, so we planned on moving there by the end of 2016, and even made a trip there to look at apartments. But then we started feeling awkward about it. We felt like our daughter was in China, and we didn’t want to move further from her. Part of the reason we came to Asia was to learn more about her language and culture so we could ease the transition, and we hadn’t really done that yet (the Chinese spoken in Hong Kong is Cantonese, and our daughter will speak Mandarin Chinese, and the culture in mainland China is quite different from Hong Kong as well). “Um…yeah.” I responded. Despite all our plans for Singapore, I already knew we were moving to China. Three weeks after that evening, we were already living there. Why Hong Kong? Expanding Your Business To Asia.